The Dubai based mobile manufacturing company – InnJoo, has set to launch the InnJoo Max to join InnJoo Fire in the InnJoo’s latest value for money mobile phones lineup this month. Information about the InnJoo Max is no longer sketchy. The InnJoo Max put more focus on battery performance. The InnJoo Max is the first in the InnJoo smartphone series to come with a massive 4,000mAh Li-Po battery that boast to last up to 48hrs of normal usage. The 5-inch device with full metal frames is coming with entirely new look but not as flat as the InnJoo One but similar in body structure. The InnJoo Max is quite thicker than the InnJoo One and have rounded edges on its top with the bottom-front of the phone easing to the bottom-rear in a slope fashion. 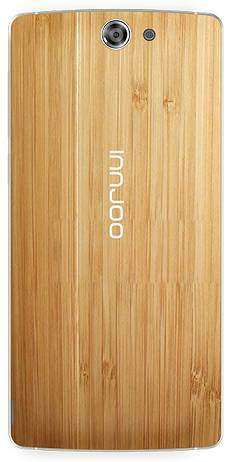 The InnJoo Max offers an elegant design and will be available in four distinct colors, namely, Classic Black, Elegant White, Luxury Gold and Natural Bamboo. The InnJoo Max is coming in varieties of awesome body design in which one will come in full-metal frame built from zinc-titanium alloy, some in plastic back shell offering a number of styles like wood-like and grating textures. According to InnJoo, the back shells are anti-fingerprints and makes for a great grip. This 5-inch InnJoo Max Android OS have not yet been confirmed, but it is expected to run Android 4.4.2 OS which might not look very impressive while other smart devices runs Android 5 OS. The InnJoo Max is said to be powered by a Quad Core 1.3GHz processor and a 2GB of RAM which boasts exceptional value at an affordable price, while claiming to leave other budget smartphones in the dust just like its brother – InnJoo Fire which is to be launched same day. The device sports a 16GB built-in storage, which you can extend by up to 64GB using a micro SD card. The device is set to ignite the passion of the new generation. Both the InnJoo Max and Fire will come with smart gestures that enable perform certain tasks just by drawing an O or a W on the screen. The InnJoo Max features a 5-inch QHD IPS display for wide and decent viewing experience with multi-touch to up to 5 touch points. The screen resolution density has not yet been confirmed by us. The device sports an 8 Megapixels back-facing camera with autofocus and LED flash which is probably going to cheer you up and a 5 Megapixels front-facing camera which you can us to take brilliant selfies and wefies that you can share with friends. The InnJoo Max connectivity option includes: 3G, GPRS/ EDGE, Wi-Fi 802.11 b/g/n, Micro-USB, and Bluetooth options. It is crystal clear that the InnJoo Max does not gives support for 4G LTE. The InnJoo Max sports a massive 4,000mAh battery pack which is considered to be the most interesting and important part of every device. This massive battery gives the InnJoo Max a head over the InnJoo Fire. According to InnJoo, the battery boasts up to 2 days of normal use, 22 hours talktime, and 10 hours of video playback. The battery is also of the Li-Po variety, which is safer and more efficient. Max also features fast charging with Rapid Charge technology that fully charges the massive battery within few hours. The InnJoo Max is set to be unveiled in Nigeria on 21st of May, 2015 at the InnJoo launch party to be held in Ikeja, Lagos, Nigeria and will go on sale exclusively on Jumia Nigeria on the first day of the Jumia Mobile Week Megathon – June 1st. We don’t have an official price of the InnJoo Max yet, but we are expecting the price to range from N22,000 – N25,000 at the launch. It is not yet certain if this device will make it to the Kenyan Market. Before we jump straight to the full InnJoo Max specifications, you might be interested in seeing the device key features. 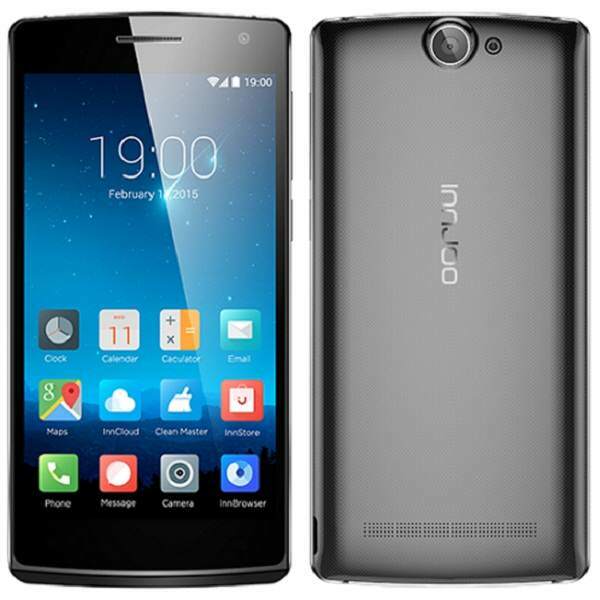 Price level The price of the InnJoo Max is expected to range from N22,000 – N25,000 at the launch. Although, we don’t have an official price of the InnJoo Max yet.